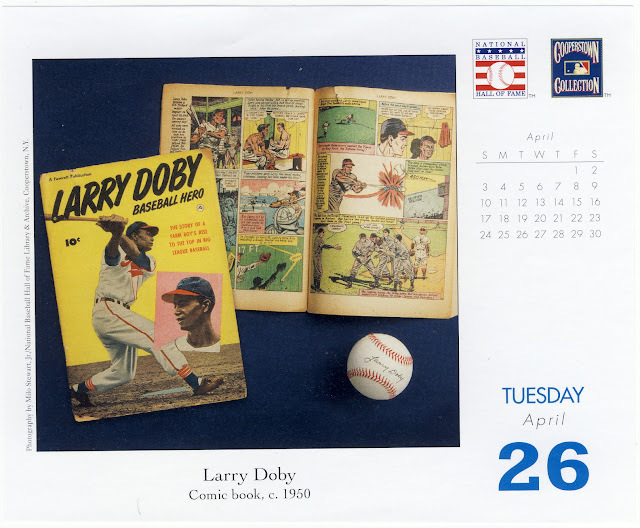 Yesterday began a three-day Doby-palooza on my Baseball Hall of Fame daily calendar and so I thought I would share with everyone what I'm looking at on my desk when I'm at work. Of course I knew Larry Doby pretty well but I had no idea that there was a Larry Doby comic book! 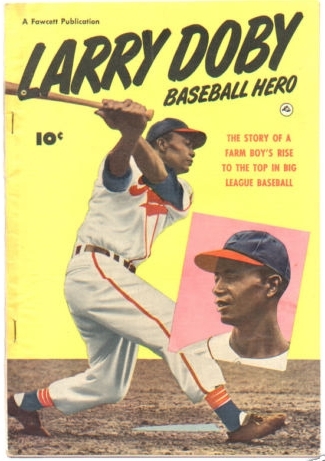 Turns out they are about $70.00 on eBay Buy It Now and are from 1950...there is also one up for auction for $20 currently. Oh man, that is too cool!